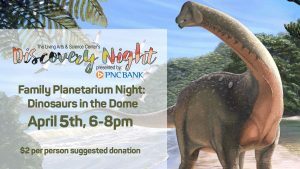 Discovery Night, Family Planetarium Night: Dinosaurs in the Dome! Thursday, April 5th 6-8pm with 4 Show Times: NEW TIME 5:30, 6:15, 7:00 and 7:45 PM. DUE TO POPULAR DEMAND, We’ve added a 5:30pm show time. 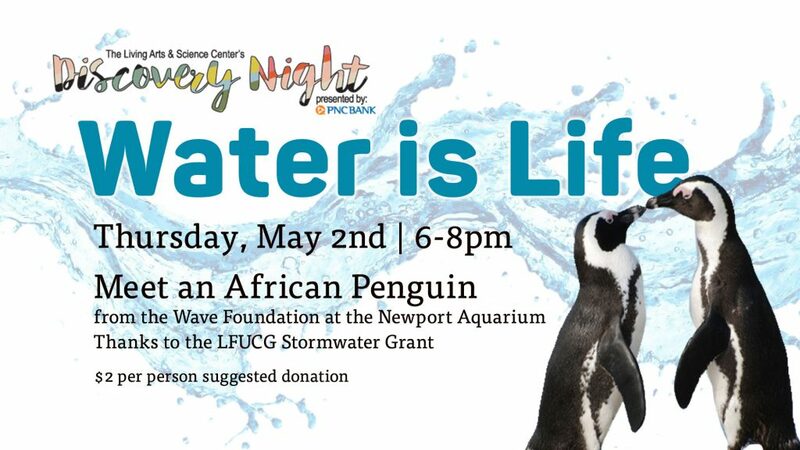 Call the LASC at 859-252-522 to reserve up to 5 tickets for this new time. Enjoy an evening in the LASC planetarium as you embark on an exciting voyage back in time and explore how dinosaurs lived and died. Everyone knows the tale of the sudden and dramatic death of the dinosaurs 65 million years ago. But did you know that numerous species of dinosaurs lived, and disappeared, long before the cataclysmic disaster at the end of the Cretaceous period? Journey with us to four different dinosaur digs around the world as we explore how these amazing creatures died… and lived. Viewers will discover the lives of multiple species of dinosaurs, from the Coelophysis of 205 million years ago to the Allosaurus and Diplodocus of the mid-Jurassic period. Viewers will also see the feathered Sinornithosaurus of China and the T. rex and Triceratops that survived and thrived until the final extinction of all dinosaurs 65 million years ago. 4 Show Times: NEW TIME 5:30, 6:15, 7:00 and 7:45 PM. 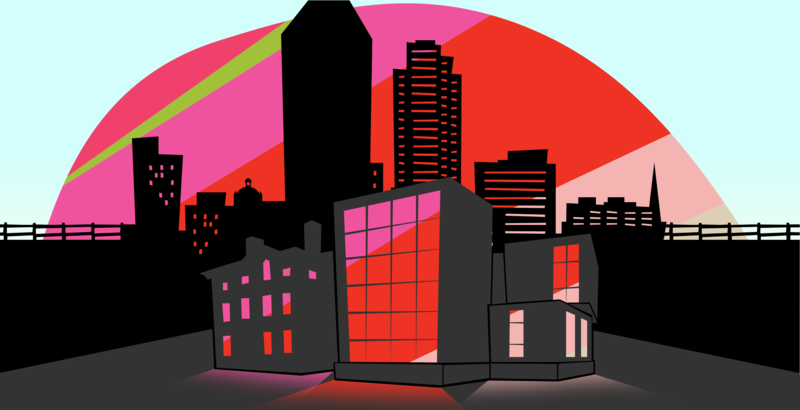 Call ahead (859) 252-5222 to reserve a maximum of 5 tickets. $2 per person suggested donation.